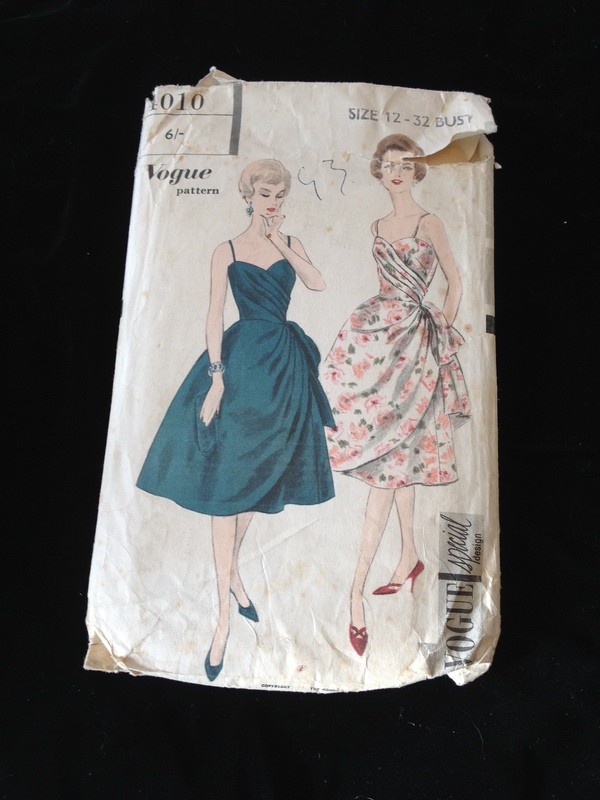 I started sewing with a vengeance back in the 1980’s so I have collected a wide range of sewing patterns from that period onwards. It wasn’t until about two years ago that I started collecting patterns from the 1950s and earlier, but I’m so glad I started! 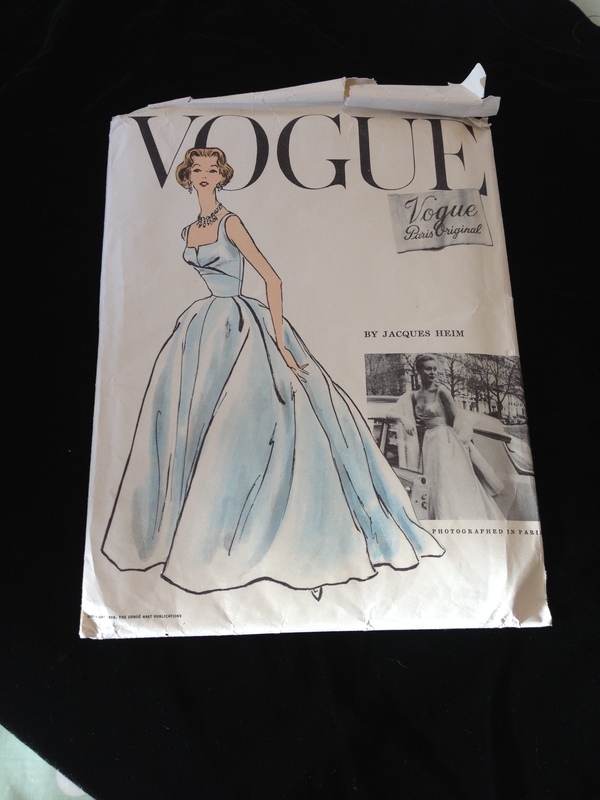 I love the fashion illustrations on the front of the envelopes – so gorgeous that they are perfect framed and displayed on the wall, but I also love the styles and glamour from these past eras and the fact that you can make perfect, authentic reproductions of these glamorous styles. 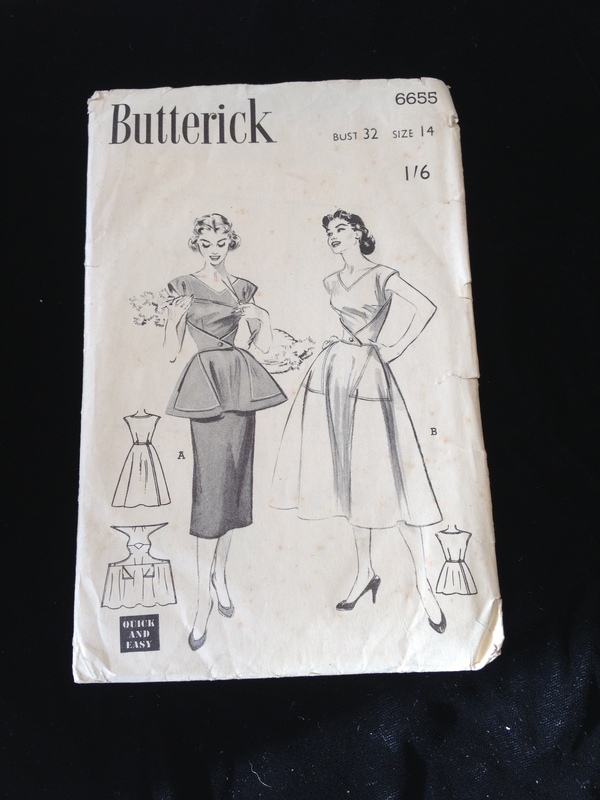 It was the American tailor, Ebeneezer Butterick who first introduced graded sewing patterns for the mass market. Originally, these patterns were not printed and just featured notches and holes to help the dressmaker construct the garment. Printed patterns were introduced in the 1940s, after the Second World War, and patterns with multiple sizing weren’t seen until the 1970s. 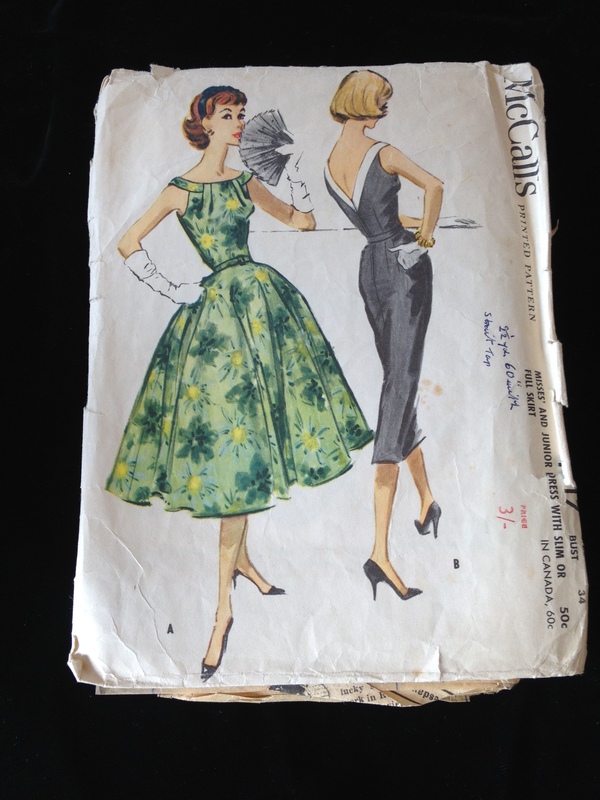 I found my first 1950s dress pattern in my Mum’s sewing collection when I was a teenager. 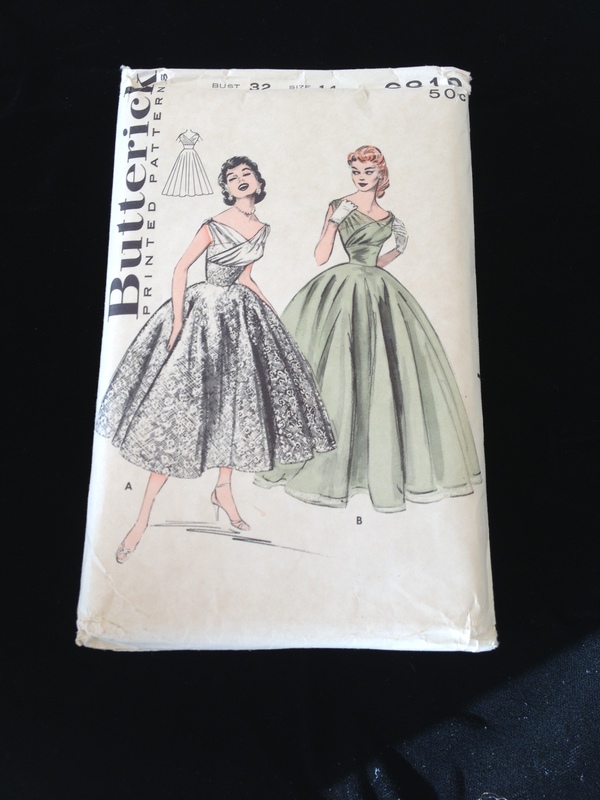 It was a simple pencil skirt from Butterick and I think I made it many times, in different fabrics. 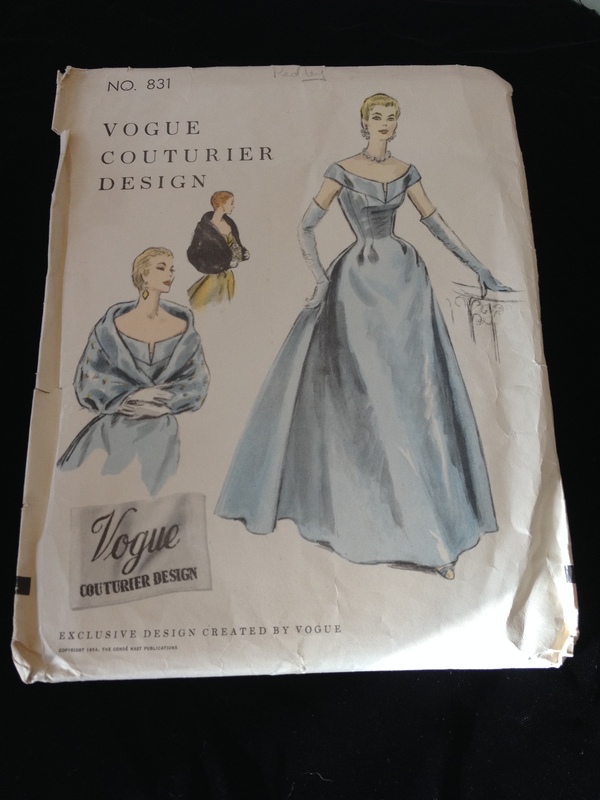 But I was inspired to collect them when I found a beautiful Vogue couturier pattern at Ardingly Antiques Fair. Since then my collection has grown extensively. I source patterns where ever I can. Ebay and Etsy are always good hunting grounds, but it is worth keeping your eyes open at antiques fairs and shops, jumble sales and charity shops, though patterns from the 50s and earlier are becoming increasingly difficult to source and more expensive to purchase, with some 1950s designer patterns now selling for over £200! 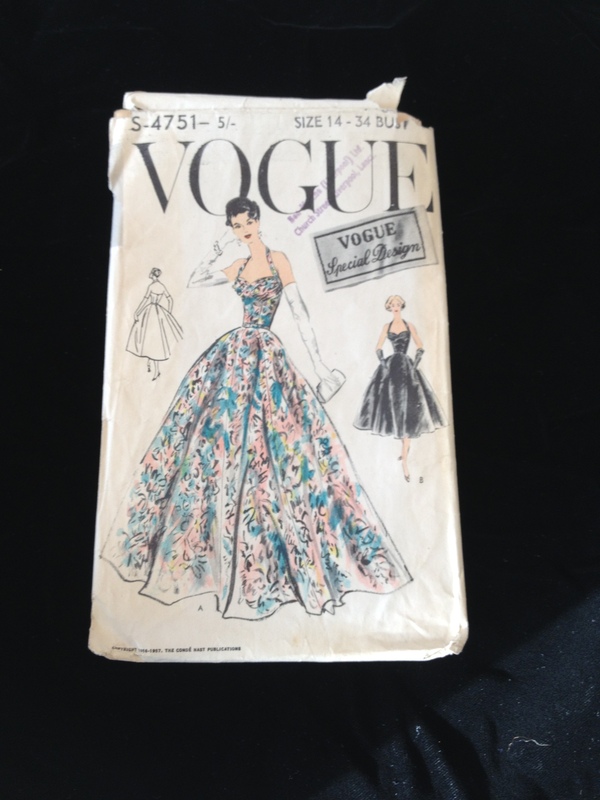 I found this Vogue Couturier sewing pattern at Ardingly Antiques Fair – it’s one of my favourites! I only collect what I like and what interests me, which is why I focus on the 50s. Because of this, the condition of the pattern and envelope doesn’t bother me too much, as long as there are no major parts of the pattern missing. 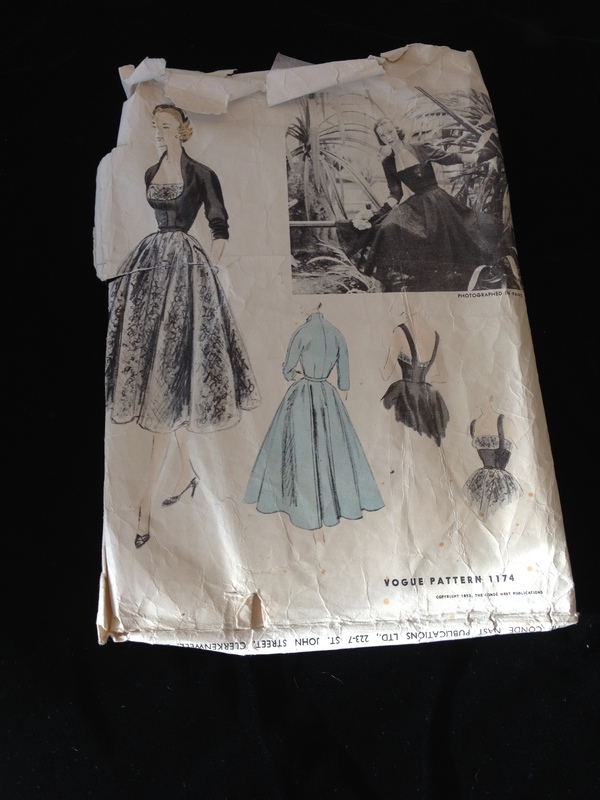 I also rather like it when a previous owner has made their own jottings on the pattern and envelope, such as sizing alterations, or a swatch of the fabric they made the pattern up in – to me this all adds to its history. If you are buying to resell, you need to consider the condition of the pattern. Ideally the pattern envelope should be pristine, and it is better still if the pattern is uncut. Some designer patterns were made in limited numbers and therefore they are quite sought after, hence the high prices. Spadea patterns are highly collectable; these featured designers from the 1950s and 60s, such as Cecil Chapman and Suzy Perette. 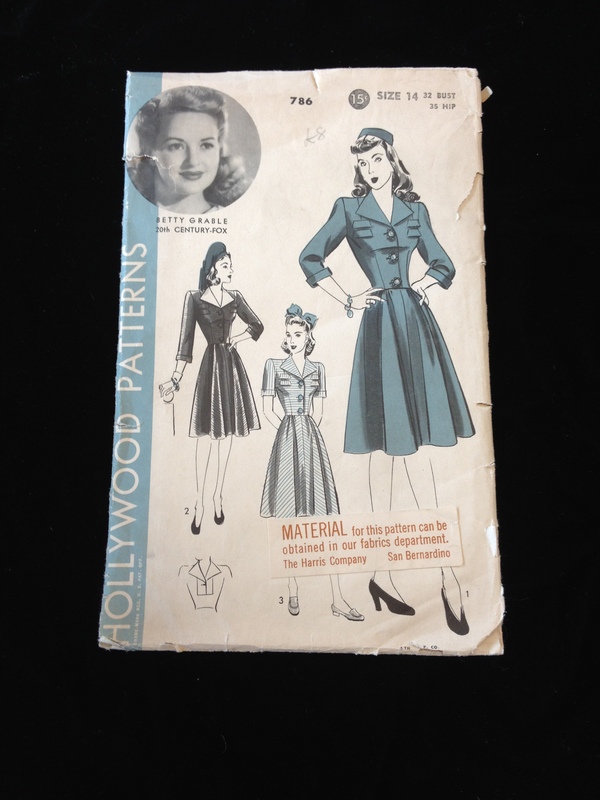 Also collectable are Hollywood Patterns from the 1940s and 50s, which feature a picture of a film star such as Lucille Ball on the envelope. These sewing patterns from the past give vintage clothing lovers the opportunity to wear a wide range of styles rather than being restricted to the sizing limitations and care concerns of authentic vintage garments. If you are not adept at sewing you have the option of finding a local seamstress to make up the patterns for you in your choice of colour and fabric – there are no limitations! Pictured below are some of my favourite patterns from my collection – one day I hope to make them all! 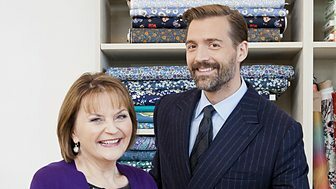 I think Episode 3 of Sewing Bee is my favourite so far. Vintage sewing is a passion of mine so it was interesting to see how the contestants coped. I loved the Walk-Away dress – what a simple dress, but how effective and elegant! 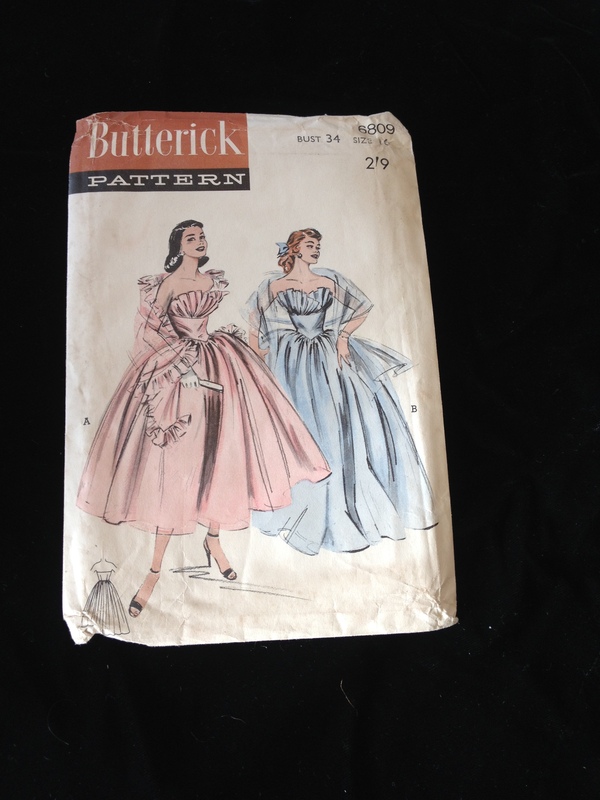 I was happily watching this and envying the contestants for making such a lovely garment when it suddenly dawned on me that I had an original 1950s pattern in my collection of just such a dress! My Butterick pattern calls it a ‘Coverall dress’ and also includes a short version which it calls a ‘Coverall Cobbler’s Apron’. I’ve dug this one out and added it to my growing list of things to make – I’ll have to grade it up first though as it’s to fit bust 32”! The task was made more difficult as the contestants had to make the dresses using vintage 1950s sewing machines which could only do a basic stitch. They were given the option of using a binding foot, which Neil managed, but most of the contestants stuck to the more traditional method. Patrick and May were looking for speed and skill on the binding. Ryan excelled again and won the Walk-Away dress challenge and Matt was second. Some contestants struggled with their binding and button loops, or the alignment of the front fastening. It was funny seeing the contestants struggling with vintage machines. I learnt to sew on my Mum’s hand-operated Singer from the 1950s, learning to sew one-handed from an early age. I have also recently inherited an old Singer treadle machine, which I am looking forward to experimenting with when I have some spare time. 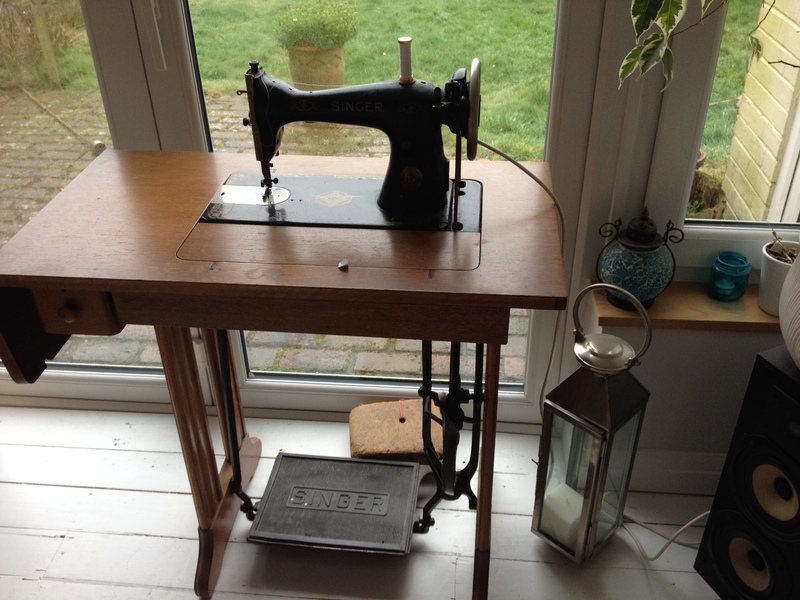 My vintage Singer treadle sewing machine, primed and ready for action! 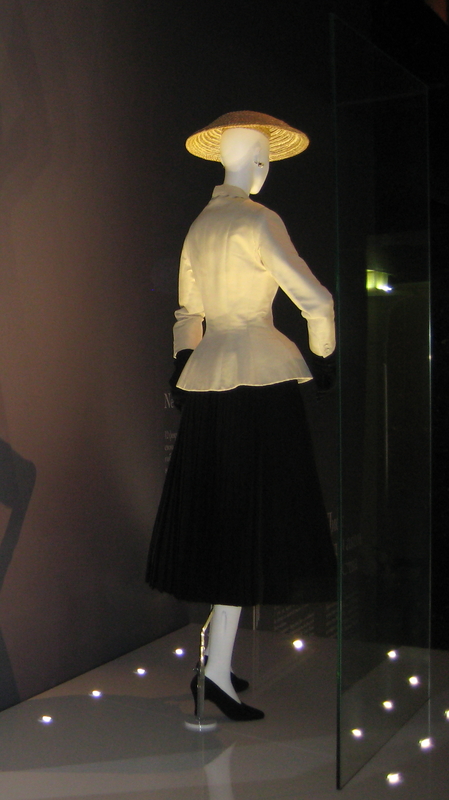 There was an interesting section of the programme examining Christian Dior’s New Look which often required 10 metres of fabric or more to make a garment! It was lovely to hear the group of elderly ladies discussing their passion and excitement for the New Look fashions following the war and the sense of freedom and adventure that these represented. The alteration challenge required the contestants to make a garment from a pair of 1950s curtains in one and a half hours, again using the vintage machines. These machines didn’t offer buttonholes so the contestants had to think of other ways to fasten their garments, inserting zips or using ribbon ties for example. Neil made a lovely fitted halterneck dress, but unfortunately didn’t quite finish. Lots of the contestants made skirts, Matt made a child’s dress and Neela, a strapless top. Lorna won this challenge with her bright, bold patterned skirt which May praised as ‘exquisitely shaped’. Neil’s gorgeous dress came second. Day 2 required the contestants to make a 1950s inspired sheer blouse in six hours. This was reported to be the hardest challenge yet, with the sheer fabrics requiring very fine and even seams. The group needed to get their garments right first time, as it was likely that any errors would show on the finished garment and Patrick said he was looking for complete precision – no pressure then! Even cutting out proved a challenge, with the fabrics moving and shifting as the contestants pinned and cut. Deborah came up with an interesting solution, pinning her fabric to a foam board to stop it shifting. Some contestants made the mistake of using fusible interfacings which should never be used on sheers as it changes the nature of the fabric and shows through. Several contestants correctly used organza for interfacing. This was a difficult challenge and none of the blouses were without issues. Neil hated the challenge and said that sewing with sheers was his worst nightmare. He had bravely drafted his own pattern but Patrick stated that the pattern was unsuitable for the fabric and lacked refinement. Several contestants had lumpy seams, poor fit or fabrics pulling to one side. Lorna once again won the challenge with a blouse which had been adapted from a pattern for a nightdress – she managed to achieve exquisite, fine seams on this difficult fabric, and also won garment of the week. I particularly loved Deborah’s blouse which featured a tie neck, little cap sleeves and buttons up the back. If anyone knows where I can obtain this pattern, I would love to know! So who went home? Sadly it was Neela, although she said she was very much looking forward to going home and sewing lots of garments as slowly as possible – I can sympathise with that! Next week’s episode looks more challenging than ever, with the emphasis on structure – a corset and tartan kilts are two of the garments involved – should be an easy week then!!! To put it quite simply, I LOVE TO SEW! I think everyone needs some sort of creative outlet, and for me, it’s making beautiful garments which are unique to me. Sometimes, when life gets particularly hectic, I have long breaks between sewing projects – but no matter how long the break, sooner or later I will get an irresistible urge to get the sewing machine out, or get on the internet and start researching sewing patterns for inspiration. Are you the same? Or are you one of these people who are lucky enough (or organised enough) to always have a project on the go. 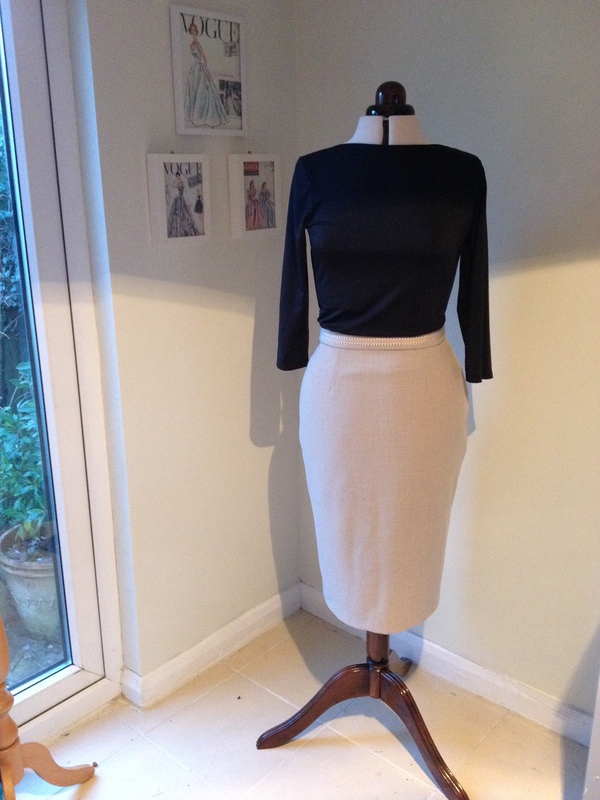 When I have had a long break from sewing, I always like to ease my way back in with something simple – like this skirt, for instance, which was my first project for 2015. I am determined this year to reduce my rather large fabric stash, and this skirt was made with a rather lovely stretch crepe fabric remnant which I bought some years ago from High Street stalwart, C&H Fabrics. I didn’t use a pattern as such, just cut it from a skirt block I made to fit my measurements. 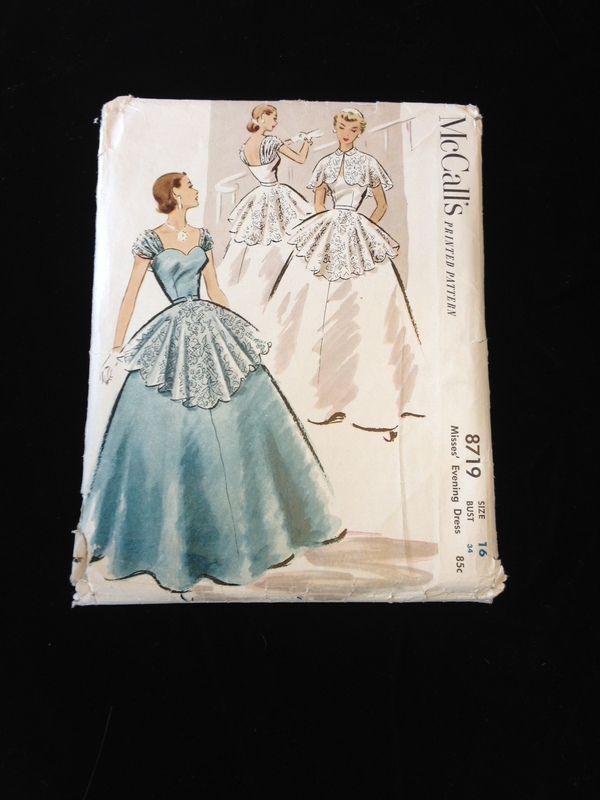 Luckily I made a calico toile first as my skirt block (made some years ago) needed a little adjusting over the hip area – a sign of my increasing years no doubt! It’s surprising when you haven’t sewn for a while, just how much you forget – or I do anyway! I had to remind myself how to insert a concealed zip and how to deal with the slit at the back of the skirt – I can never remember how to cut and stitch the lining around the vent! So as usual, it was out with my sewing bible – The Reader’s Digest ‘Complete Guide to Sewing’. This is a fab book for any level of experience, and I would thoroughly recommend it to anyone. You can quite often find a copy for sale in charity shops, so it’s worth keeping an eye out for. Considering I hadn’t sewn anything for some time, I was pretty happy with the cut and finish of this skirt. My only reservation was that it was a little plain, so I decided to add a ribbon trim to the waistband to jazz it up a bit. I’m not sure now whether this was a good idea, or whether it just makes the skirt look ‘homemade’ – what do you think? I will definitely wear this as it’s a lovely skirt for work – very smart for the office! What sewing projects have you got on the go at the moment?